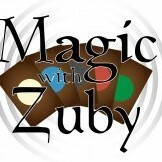 Magic with Zuby is a Magic the Gathering Podcast dedicated to bringing you from the kitchen table to FNM or higher events! Join our host Zuby as he has guests ranging from pro players to judges and many more! This week we brought on Jordynne aka MTG Sickly. She is a Magic the Gathering content creator on Youtube. InkedGaming.com: We are affiliated with InkedGaming! Use coupon code "ZUBY10" on check out! What makes a fun GM experience? Is it controlling your players or talking to them and setting expectations? This week we brought on Rachel from Pixie Kitten Plays! Pixie Kitten Plays is a Magic the Gathering Youtube Channel comprised of Magic the Gathering skits, deck techs, and gameplay videos. This week we brought on Jason Alt of Brainstorm Brewery fame! Episode 157 - 3 Year Anniversary Special!!!!! Can you believe it's been 3 years since I started this show? I can't. Well it's here and I share this anniversary episode with my good buddy Alec!!! This week we go over the article I made titled: "The Other Side of Content Creation." that made a little bit of waves. Manatraders.com: Tired of buying singles in order to play in events on Magic Online? Manatraders allows you to rent any cards and decks you want for a monthly price! Be sure to check them out and use coupon code "MTGZuby" when you check out and get 15% off your first 3 months! The last episode of the Ravnica Allegiance Complete Set Review! This episode we discuss all the artifact and land cards in Ravnica Allegiance. Hear my thoughts on each and every artifact and land card and whether or not you should play it in limited or constructed! Let me know your thoughts and tell me how I did! The next episode of the Ravnica Allegiance Complete Set Review! This episode we discuss all the multicolored cards in Ravnica Allegiance. Hear my thoughts on each and every multicolored card and whether or not you should play it in limited or constructed! Let me know your thoughts and tell me how I did! The next episode of the Ravnica Allegiance Complete Set Review! This episode we discuss all the green cards in Ravnica Allegiance. Hear my thoughts on each and every Green card and whether or not you should play it in limited or constructed! Let me know your thoughts and tell me how I did! The next episode of the Ravnica Allegiance Complete Set Review! This episode we discuss all the red cards in Ravnica Allegiance. Hear my thoughts on each and every Red card and whether or not you should play it in limited or constructed! Let me know your thoughts and tell me how I did! The next episode of the Ravnica Allegiance Complete Set Review! This episode we discuss all the black cards in Ravnica. Hear my thoughts on each and every Blue card and whether or not you should play it in limited or constructed! Let me know your thoughts and tell me how I did! The next episode of the Ravnica Allegiance Complete Set Review! This episode we discuss all the blue cards in Ravnica Allegiance. Hear my thoughts on each and every Blue card and whether or not you should play it in limited or constructed! Let me know your thoughts and tell me how I did! The first episode of the Ravnica Allegiance Complete Set Review! This episode we discuss all the white cards in Ravnica Allegiance. Hear my thoughts on each and every White card and whether or not you should play it in limited or constructed! Let me know your thoughts and tell me how I did! On Today's RPG Companion episode we review Matt Colville's newest book, Strongholds and Followers. Strongholds and Followers is a supplemental RPG book meant for Dungeons and Dragons 5th edition. Is this book worth getting? What is wrong with the book? Found out all this and more in this episode! Episode 148 - 2019 Goals, UW Modern Control, and Patreon Shoutouts!!! It's the first new episode of 2019! This week we do a UW Modern Control Deck tech. Go into 2019 Goals I have for the podcast. Do some Patreon shoutouts and end with your Q&A!! For supporting the show through Patreon! It's the annual Magic With Zuby Christmas Special! We brought on Mrs. Zuby to discuss what we are most thankful for this year and what we've learned as people and parents as well as discuss some DnD and sing songs and much more! Wondering what to do for your first DM Session? Not sure what style of DMing you are interested in? Well come on in and sit down and listen here and get an understanding of some DM styles. Zuby also dives in to his first DM session as well. We dive deep into the new Esports announcement. We also talk a little bit about the open letter to the pro's and end off with your question's! Episode 144 - Magic Cookbooks, Arena Slow Play, Bye Bye Paper Magic? This week we discuss sometopics that you, the community, have brought up. Magic cookbooks, slow play on Magic Arena and coming up with content. Also go into my recent trip at Chicago and possibly selling out of paper magic? This week we brought on Jake Boss from the up and coming MTG Tonight Show! The MTG Tonight Show is, as you guessed it, a late night talk show discussing Magic the Gathering. Jake Boss has worked behind the scenes on some Magic content creators already and is bringing his knowledge and creativity to the forefont with the MTG Tonight Show. He and I go deep into content creation and what it's like to be a professional editor as well as go over some fun EDH decks and cards a little later on. I personally had a blast talking with Jake and I hope you all enjoy it as well. Welcome to the first episode of RPG Companion with Magic With Zuby! The Companion show all about Table Top RPG's and more! Today we review the Guildmaster's Guide to Ravnica. Does it live up to the hype? Is this a worthy addition to the DnD universe? Would this help Magic the Gathering players step their toes into DnD? Hear my review and let me know what you think!